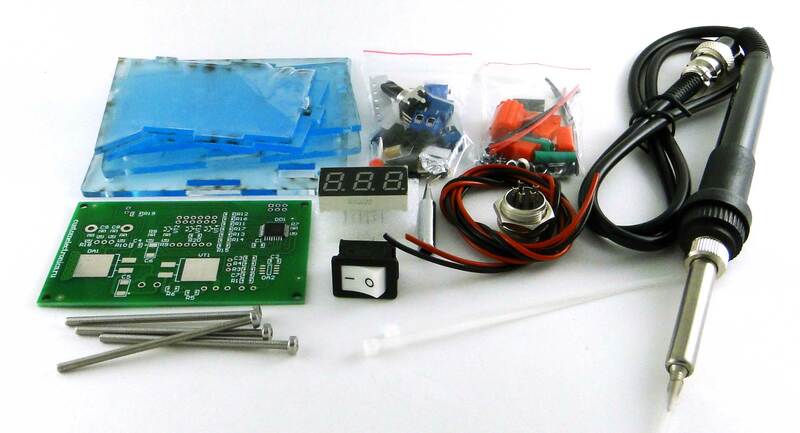 In this article we want to introduce you to the project of a soldering station, which everyone can assemble with his own hands. 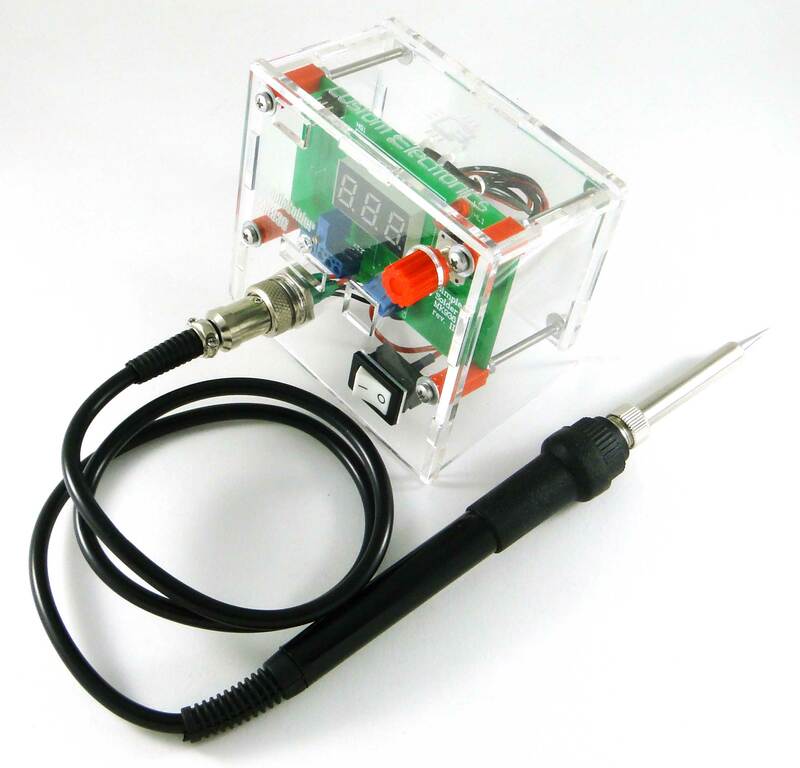 It is a soldering iron with a unit for setting and adjusting the temperature. 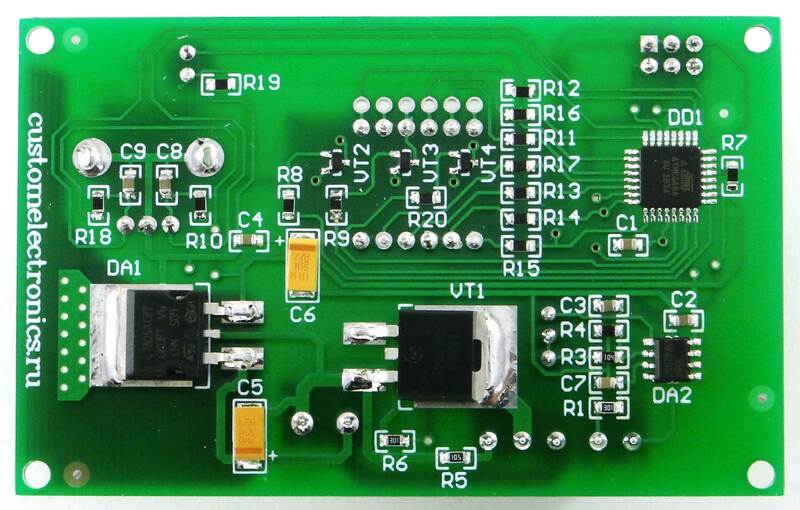 In the article you will find schemes, board drawings, firmware for the microcontroller, as well as recommendations for assembly and configuration. 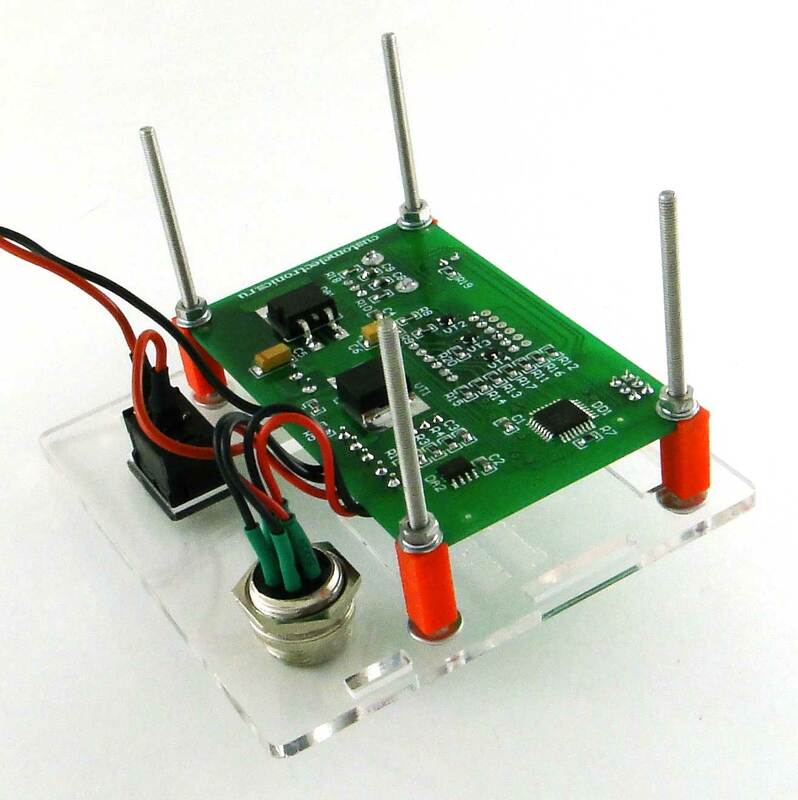 Gathering it, you get experience working with SMD components and, of course, a useful device. here . On it only the positional notations of the elements and the pin numbers of the microcontroller differ. In fact, everything is done on the microcontroller Atmega? to which a seven-segment indicator, an encoder, a heater via a key and a thermocouple signal amplified by an operational amplifier are connected. HG1. Seven-segment three-digit indicator with a common cathode BC56-12GWA. Also on the board is a seat for a cheap analogue . 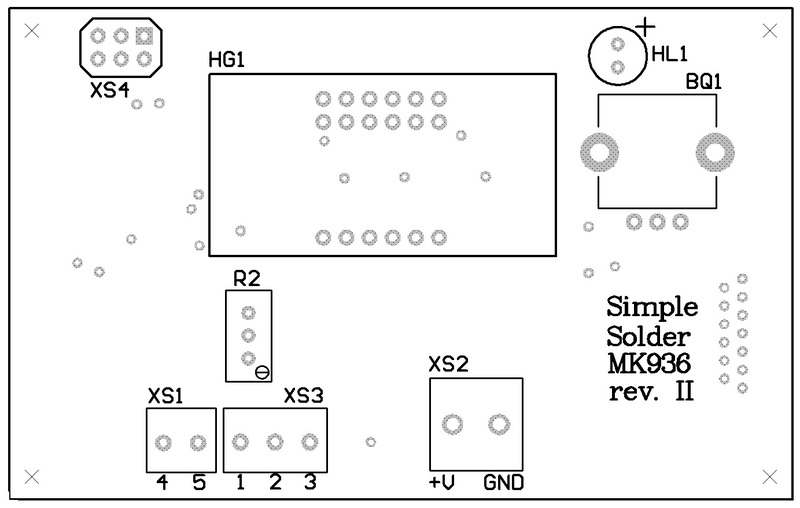 You need to start with the installation of SMD components. Install the elements on the boards according to the list of elements. When installing the elements, it is important to monitor the orientation of the tantalum capacitors and the operational amplifier. The first output of DA2 is determined by the bevel on the body. Note that we used 1kΩ resistors without marking. Next, you need to install the output elements on the board in accordance with the list of elements. The long LED output is a plus. Seven segment indicator is set "points" down. Before assembling the case, it is necessary to prepare a switch and a connector. The switch must be connected to the break of the red wire so that on one contact of the switch there is a short section of the red thick wire, and on the second one it is long. To the first and fifth contacts of the soldering iron connector you need to connect short red wires, and to the others black. On the switch and the connector it is necessary to put heat-shrinkable tubes and zaludit all free ends of the wires, so that later they would be more convenient to screw them into the terminals. Next, install the switch and the soldering iron connector on the front panel. Note that the switch can be installed tightly and it may be necessary to refine the notch under it. Then connect the first pin of the connector to the first contact of the board, the second to the second one, and so on. in accordance with the above picture. To the positive power supply on the board, you must connect a red short wire from the switch, and to the negative black wire. 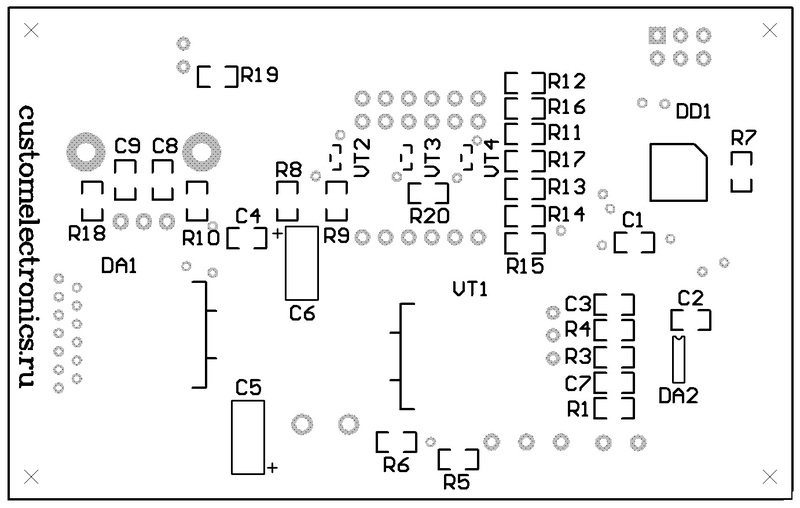 In the upper left corner of the board is a standard ISP-connector for flashing AVR-microcontrollers. You can flash the microcontroller with any available programmer, for example USBasp. 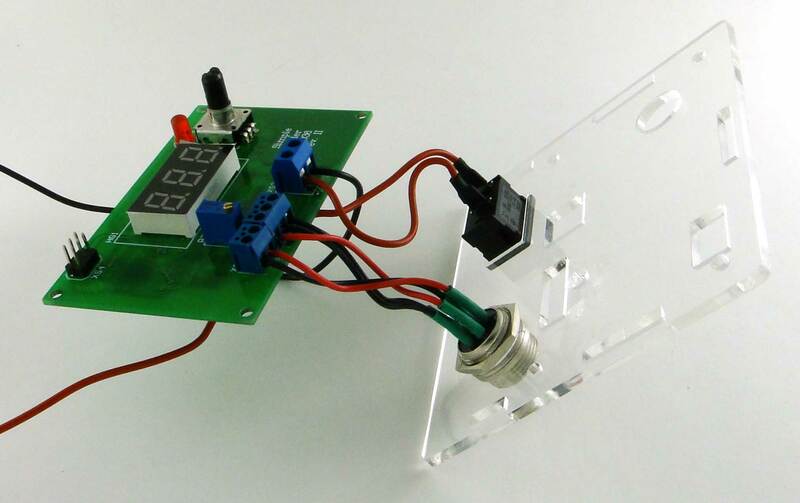 If the programmer is feeding itself, it supplies power to 5V, then it is not necessary to connect an external one. You can also find the firmware file at the end of the article. Configuration bits! You need to enable CKSEL? CKSEL? CKSEL? SUT? BOOTSZ? BOOTSZ1 and SPIEN! That is, you need to change the default settings to run the controller at a clock speed of 2MHz. 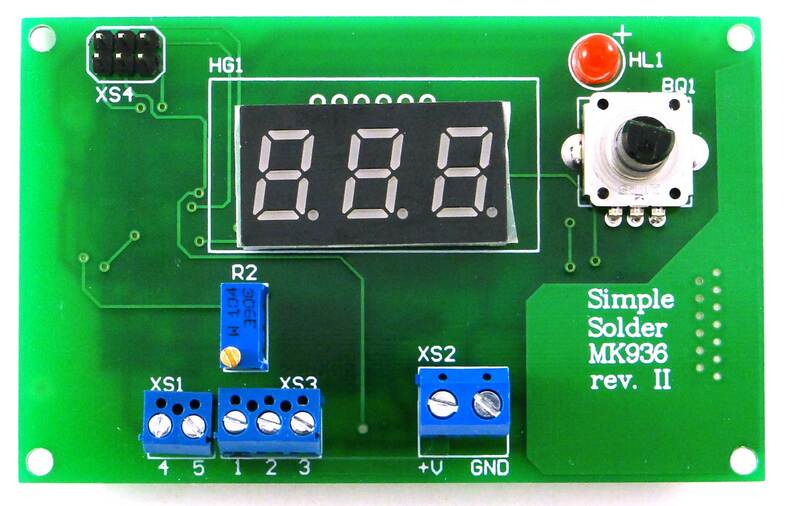 Now you can connect the soldering iron and supply the input supply voltage (from 12 to 24V). After switching on the soldering iron should begin to heat up, and the temperature readings on the indicator increase. When the encoder shaft rotates, the value of the desired temperature should change. Now you can screw the card to the front panel. It is allowed to use usual racks of 10mm height, but we have prepared special racks providing better fixing of the board. 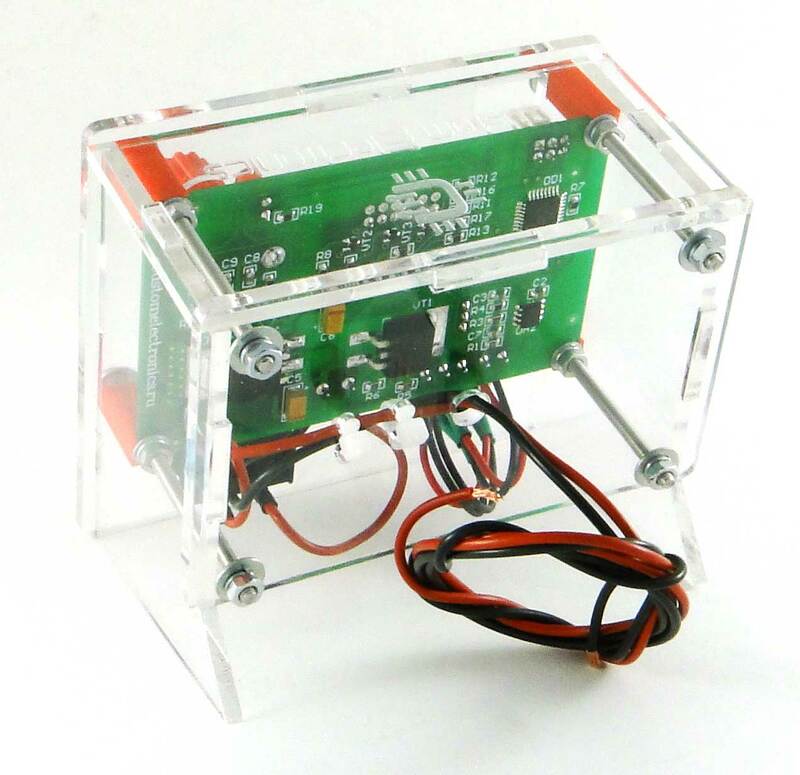 The model for 3D printing can also be found at the end of the article. The side walls are installed without any fasteners. Now it remains only to insert the back cover into the grooves, tighten the nuts, pull the wires for power through the hole and secure them with the cable clamps. Remember that the details of plexiglas are fragile enough and do not over tighten the fasteners! To accurately adjust the temperature, a trimmer is used. In the front panel there is a special hole for access to it. When calibrating in the first place, it is necessary to bring the sting to the temperature at which the solder melts. You can simply install an extremely high temperature with an encoder. Then, having typed a ball of solder on the sting, it is required to warm up the thermocouple to them. 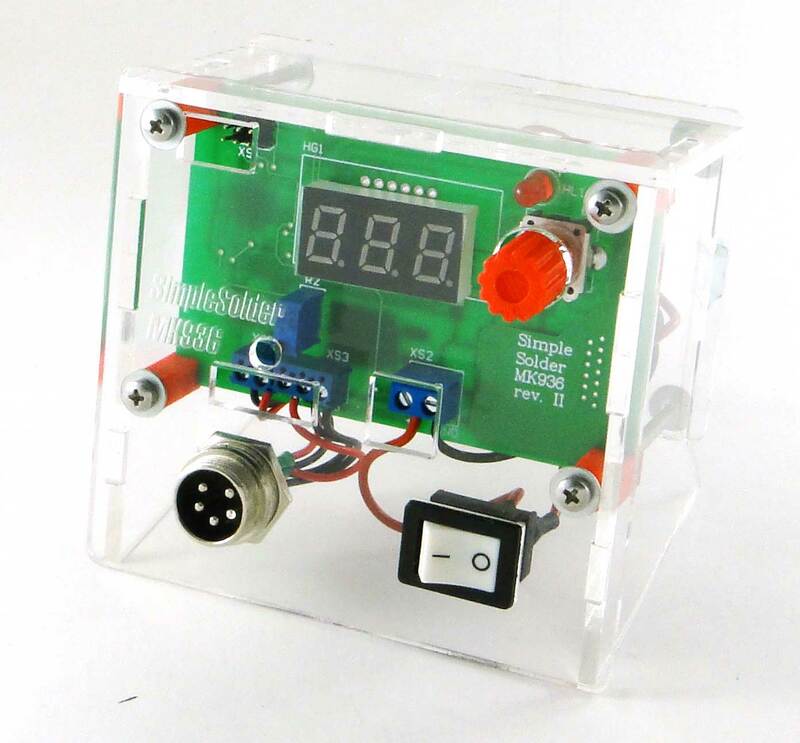 There are special measuring instruments for such purposes, but an ordinary multimeter with a thermocouple is also suitable. Further, by rotating the trimmer shaft, ensure that the measured value coincides with the external thermocouple reading. During calibration, remember that the more time you give the soldering iron to stabilize the temperature, the more accurately you can eventually adjust it. Also note that the tuning resistor is multi-turn and one revolution changes the temperature very slightly. That is, it is necessary to twist it and it is a lot of. Direct links to all the necessary files for downloading can be found at the main page of the project . P.S . : and we are also preparing a hair dryer) Thank you for your interest in our activities! I learn lots of new things from this platform and the best part is you explain through videos. The essay on-time service also doing the same and they give us lectures in the form of videos.